On April 30, Central Florida made history with the opening of the first commuter rail line. The first phase of SunRail is complete with twelve stations from the northernmost station in DeBary to the southernmost station in Sand Lake Road. After years of debate and political hurdles, construction got the green light in 2007. 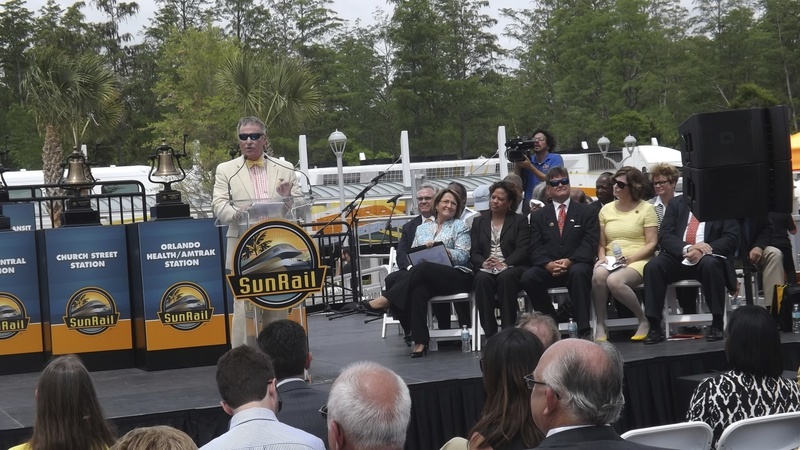 Seven years later, Orlando Mayor Buddy Dyer and the many City and County Commissioners who fought endlessly to get it going were treated with the first private ride along the SunRail, arriving at Sand Lake Road for the lavish ceremony. Federal, state, and local officials gathered together with the business community and transit enthusiasts to ring the ceremonial bells.